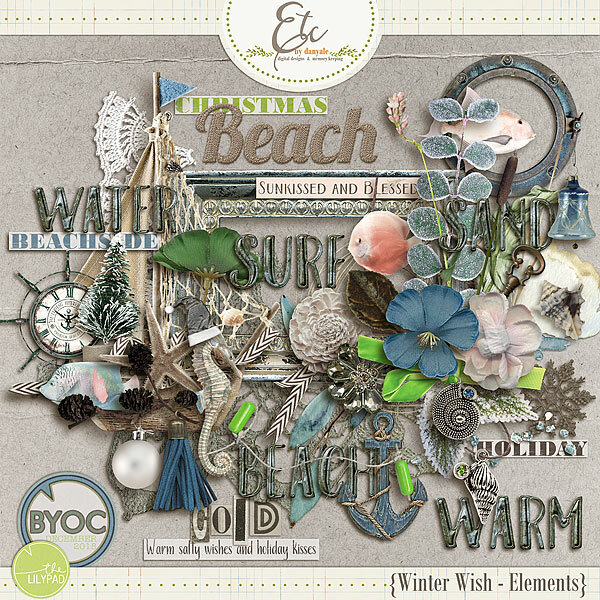 Inspired by a love for the beach when not all holidays are cold, this Digital Scrapbook Kit will add a special details to your Winter layouts. 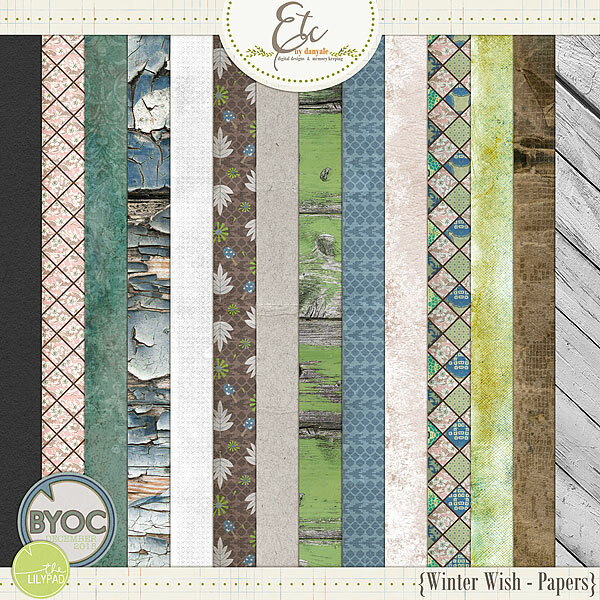 This pack was created to compliment the December 2018 BYOC products, also available separately. Please note: Drop shadows for illustration only. These digital products have been saved as .jpg/png files at 300 dpi.